Course Description: Is Harry Potter a good chemist? Could the Star Wars x-wings really turn on a dime? Are Superman’s feats more plausible than we might think? 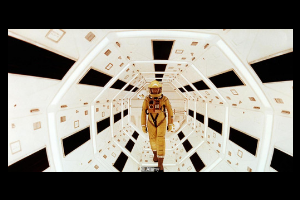 While science fiction and fantasy films let our imagination take flight, how much of what is portrayed in these fanciful settings is a reasonable extrapolation of an established scientific principle? This course will examine the history of science fiction films, and will focus, in part, on how well these filmmakers knew their science. We will both laugh and learn from some of the great scientific gaffes in film history. 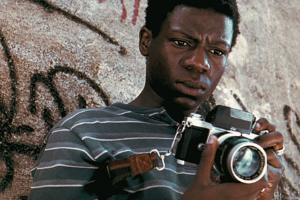 Course Description: Film Studies Practicum credit is given for hands-on participation in film-related organizations. Course Description: This course examines films and literature from Latin America, studied in social, political, and cultural context. The films and literature are from a variety of countries, and are studied, together with readings, and other cultural materials, through class discussions and written assignments. 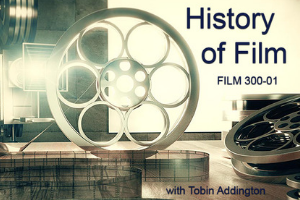 Course Description: This course offers an historical survey of some of the major cinema movements that have contributed to the development of cinematic grammar, style, and form, from late 19th-century pre-cinema optical experiments to today’s digital films. Through screenings, lectures, readings, and discussion, students will learn about the origin and development of various film practices, trends and their connection to national and trans-national cinema movements. 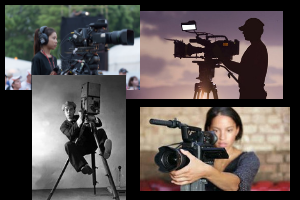 Over the course of the semester, students will develop aesthetic standards to analyze the specific techniques and effects employed by filmmakers. With any luck, this will lead students to enjoy cinema in new and meaningful ways.